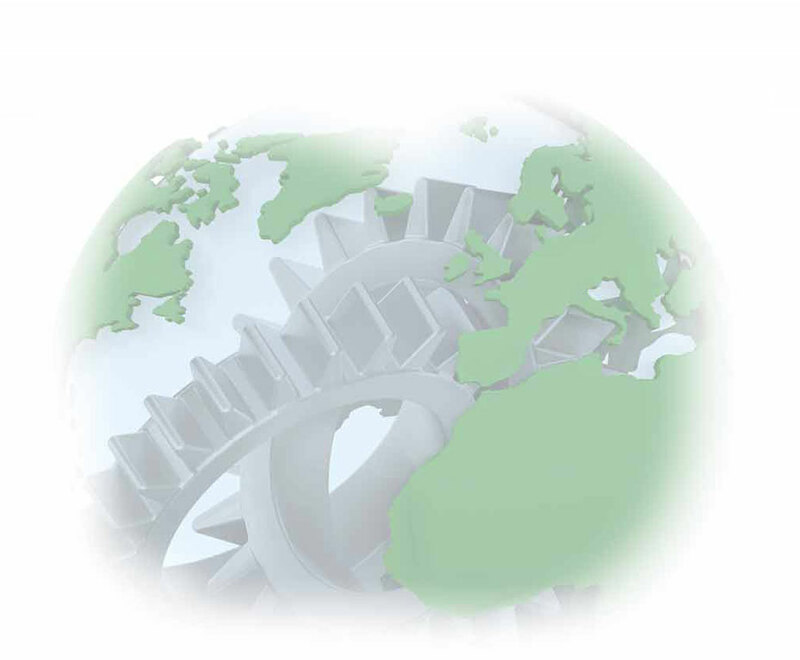 How The World Runs on Gears | Fairlane Gear, Inc. Gears have existed since the development of rotating machinery. References to gears can be traced back to the 4th Century BC, where Aristotle wrote about wheels using friction between smooth surfaces to transmit motion. Other gear-related inventions were developed by the Greek mechanics of the Alexandrian school in the 3rd Century BC and by Archimedes (287-212 BC). The earliest known written reference to gears was circa 50 AD by Heron of Alexandria. He was a prolific inventor and mechanic who designed systems that utilized gears to lift heavy building objects. The early Greeks made use of metal gears with wedge-shaped teeth. Romans made use of gears in their mills. Initially, wooden circles and pegs were used to assist with windmill and waterwheel operations, to pre-tension catapults and to hoist ship anchors. These rudimentary gears amplified the power provided by water and horse to increase speed to a useable level. In the middle ages, stone gears were used in Sweden. In some applications, gears were also used as speed reducers. It then wasn’t until the Industrial Revolution some 1800 years later that increased the need for stronger gears and changed the way the world used power. Today, we enjoy the benefits of gears in everything from electric rotating toothbrushes to gigantic ships and jets. Gears are now made from a variety of substances, depending on the application and strength needed. The most unusual material used in gear cutting is a water buffalo hide. This specialized gear manufacturing process utilizes the hide to purposefully engineer a gear that is easy to break off instead of damaging an expensive head gear. When your company needs to buy gears, trust the gear manufacturer experts to help your project run smoothly. Whether it is helical gears, ring gears or gear reducers, we can work with you to take your project to the next level.